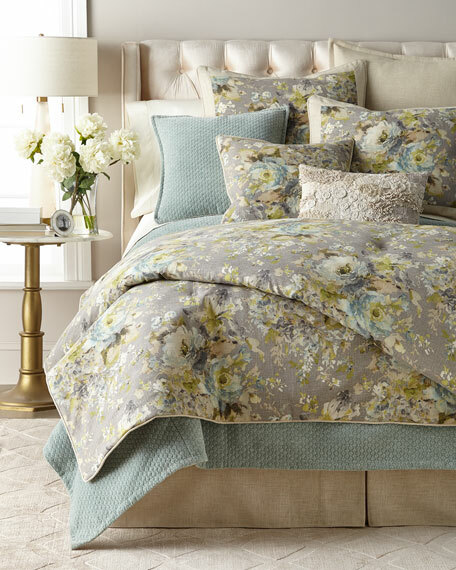 Set includes hand-quilted comforter and two shams. 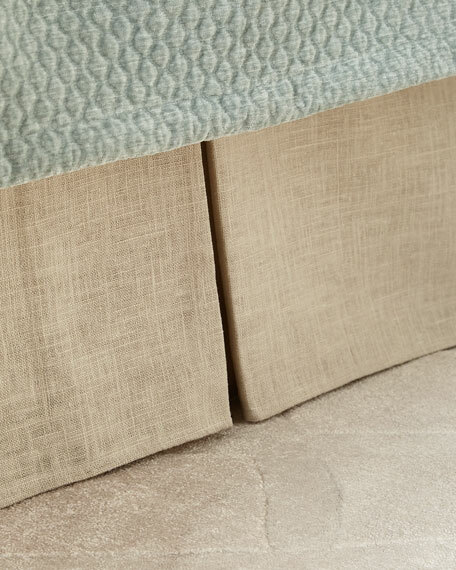 Solid welt edge and cotton backing on comforter. 2" linen frame and small welt edge on shams. 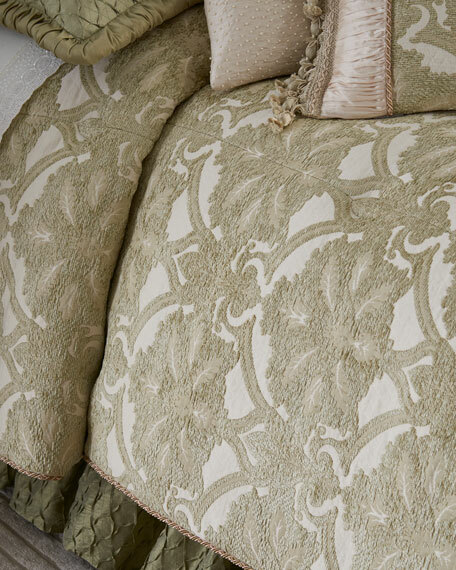 Velvet coverlet with 2" top stitched flange. 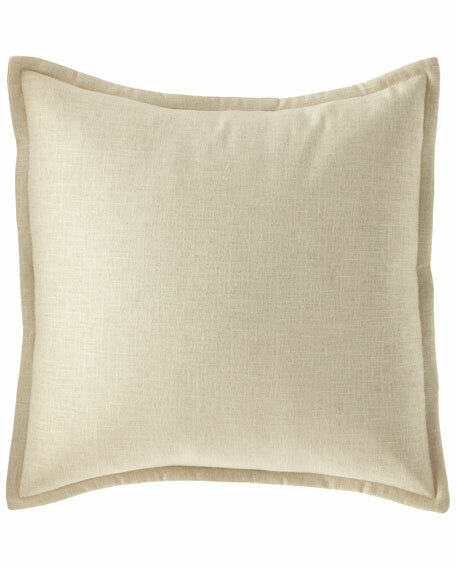 Linen sham with 1" top stitched flange. 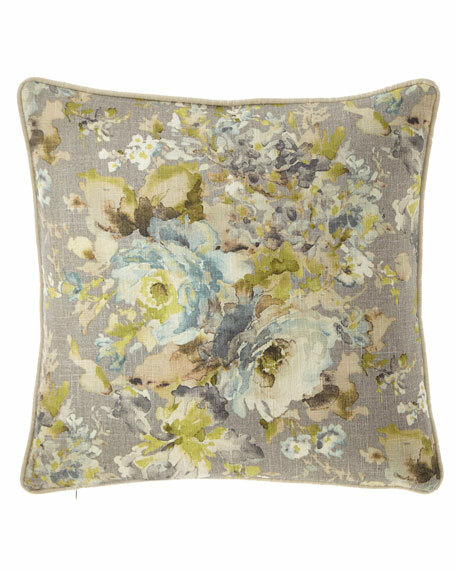 Floral sham with 2" linen frame. Zip closure with feather/down insert. 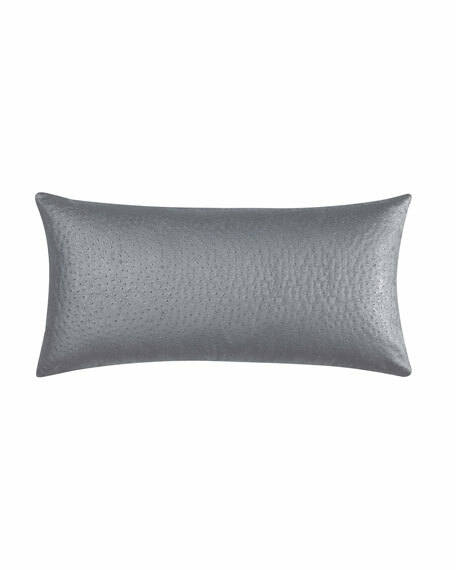 Quilted velvet pillow with 0.5" top stitched flange. 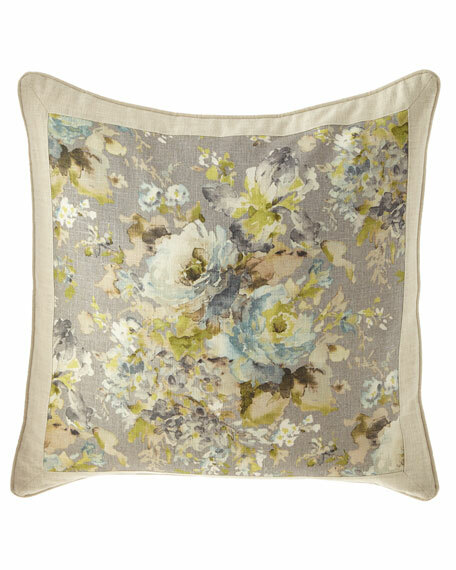 Floral pillow with linen small welt and back. Tailored dust skirt in linen. 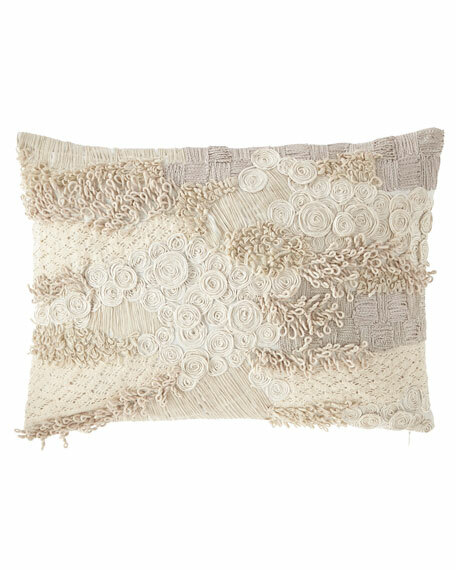 EXCLUSIVELY OURS.Boudoir pillow with small cord top and bottom. Tassel fringe sides. 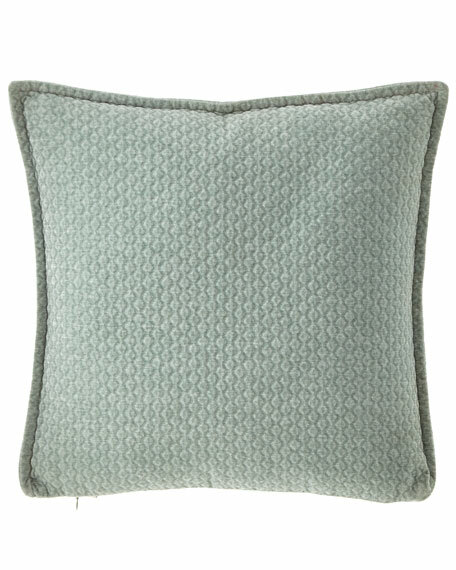 Solid linen back. Polyester/viscose.12" x 24". Spot clean.Made in the USA of imported materials. 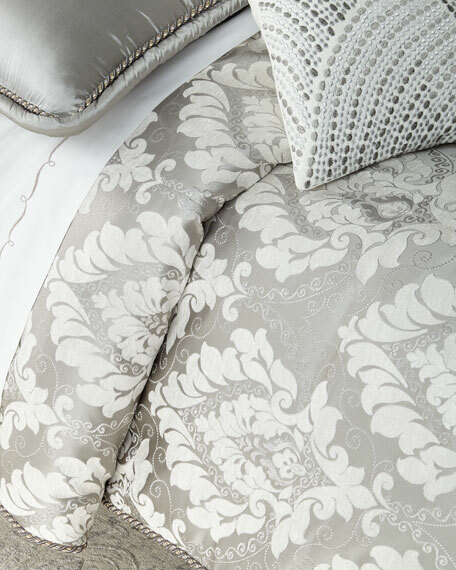 EXCLUSIVELY OURS.Hand-quilted comforter with cord edge and cotton backing. 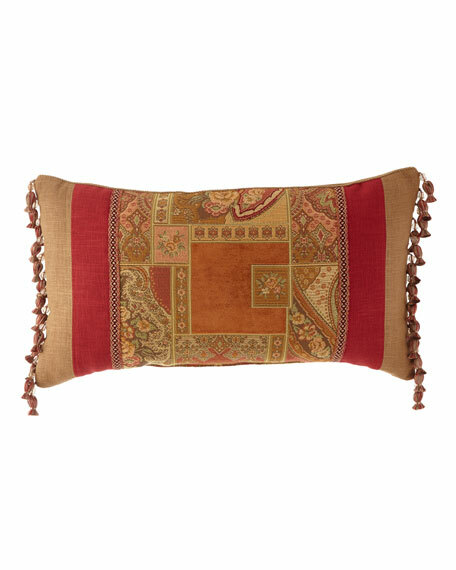 Includes two shams with shirred silk ends and cord edge. Striped back with zip back. 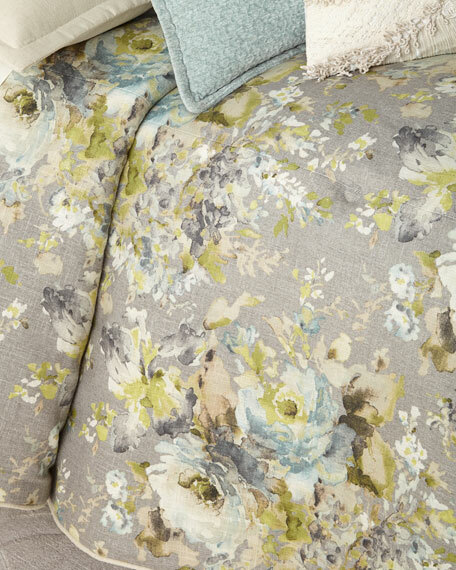 Comforter: 108" x 95". Three-piece set.Polyester/acrylic.Dry clean.Made in the USA of imported materials. 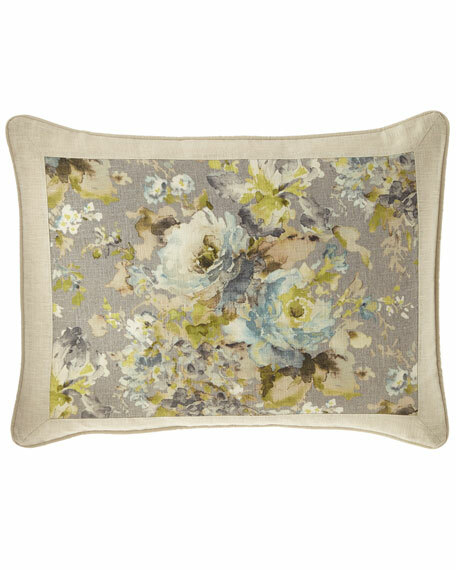 Charisma Rhythm Decorative Pillow, 14" x 28"